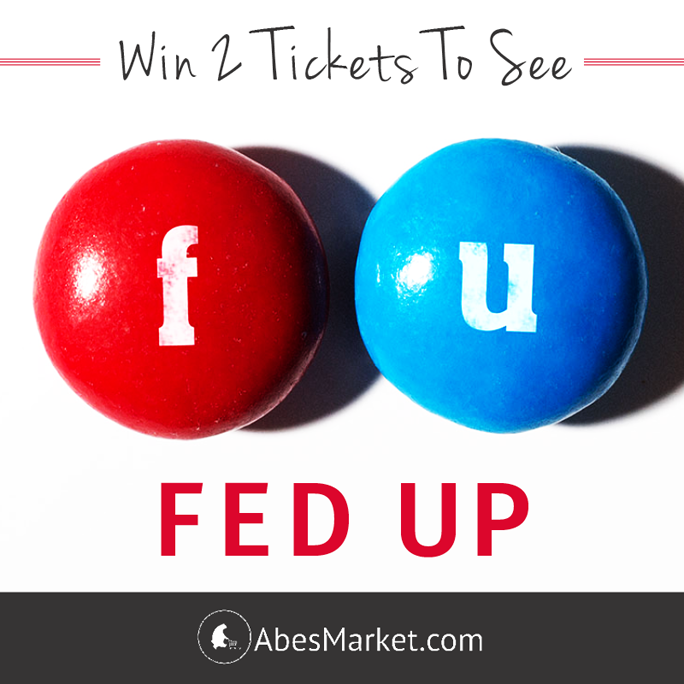 Abe's Market is hosting the Chicago premiere of Fed Up, a new food documentary by Oscar winning filmmaker Laurie David (An Inconvenient Truth) and Katie Couric, and I'm giving away a pair of tickets to one lucky TYLC follower! When: Friday, May 23 at 7:10 p.m.
What: Screening of the movie with a panel discussion to follow featuring: celebrity chef Art Smith, registered dietitian, author and speaker Jenny Westerkamp, and former USDA Director of Affairs Justin DeJong. Entries must be made on or before 6:00 A.M. May 22, 2014. Winner will be selected by random. Winner will be contacted by email and must respond by 7:00 A.M. CST on Thursday, May 22nd or a new winner will be selected. Must be a resident of Illinois with valid street address to enter.